TV Aerial Repairs And Satellite Dish Repairs Based In Chesterfield, Derbyshire. Came out in terrible weather to make sure we had TV to watch until repair complete. Even came Sunday to finish the job. Chesterfield, Derbyshire And South Yorkshire. For TV aerial repairs and satellite dish repairs or Sky dish repairs call DG TV and Aerial Services, a well established business that has been running for over 20 years within Chesterfield and the surrounding areas. If you have lost some of your Sky or Freesat television channels then you may need to have your satellite dish alignment checked or you may be in need of a repair or replacement. If you just need a digital compatible aerial for Freeview or a satellite dish for Freesat, give us a call to arrange supply and installation. Storm damage and insurance work. Aerial and satellite distribution systems. Satellite Dish Repairs / Sky Dish repairs. TV related poor reception problems. You can find us on Yell.com too. If you've lost some of your channels or the picture seems to be breaking up , then it's possible that your television aerial or satellite dish has become misaligned or even completely dislodged from its' mounting. This could be due to bad weather or just a bad previous aerial or satellite dish installation. Promax Meter Alignment For Satellite And Digital Television And Radio. Your television receiver or amplifier can be damaged by certain weather conditions, from lightening strikes to fire damage. Your aerial may need repairing or replacing due to recent strong winds and snow. Either can cause your TV aerial to become dislodged from the aerial mountings. DG TV and Aerial Services can help to replace or repair your TV aerial and satellite dish. If you think that you have an aerial or satellite dish that is damaged, in need of repair or replacement, or you just need to have them re-aligned for a better television reception then call us to book an appointment or get a quote for a new aerial installation or Freesat installation. Whether your too busy working, have an incapacity, or even just scared of heights. We'll purchase the equipment and install everything for you. Television Aerial Distribution Systems For Residential And Commercial Property. Are you looking for a full aerial distribution system for a small or large residential or commercial property? Call us today or contact us using our free email form to enquire about installing, repairing or replacing an existing aerial installation. You can call us and enquire about repairing or replacing storm damaged equipment, or help to fix any issues you might have with an existing satellite and television aerial system. Perhaps you're thinking of using Freesat as an alternative to Freeview and you need an experienced installer to provide you with a professional Freesat installation? If you're already watching Freesat, we can enhance your viewing and have one of our installers upgrade your television viewing to Freesat HD or Freesat+ (LNB upgrade may be required )giving you the benefit of high definition television and enabling you to enjoy several HD channels that are already available. After our installer has completed the job, you can enjoy your favourite TV programs throughout the day with the ability to pause, rewind and record your favourite channels. DG TV And Aerial Services can also help to repair satellite TV problems such as dish alignment and 'picture break up' or loss of channels. Losing television channels or experiencing 'picture break up' with satellite television can occur when the dish is out of alignment, or if the LNB is broken or obstructed in some way. You may also see 'no signal' on the television screen. Our Satellite Engineer will diagnose the problem and provide a solution to restore any channels that you may have lost through your Sky or Freesat/Freesat+ receiver. Our Aerial And Satellite Dish Repair Services will always be carried out with your safety as one of our primary concerns during any installation. 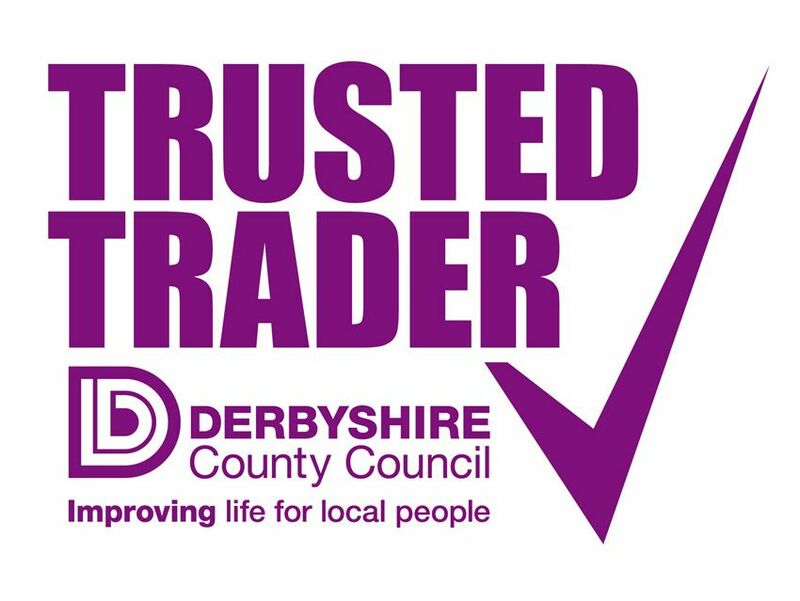 You can always find us on North East Derbyshire County Councils' website under the Trusted Trader Scheme. **Mobile network operators may apply charges. Content Author - Martin Hookem BlueFlux Graphic Design. We Also Offer Aerial Repairs And Maintenance On Distribution Systems For Commercial Property And Housing Accommodation.